Thank you for your interest in our Stone Mountain, GA law firm. Our Stone Mountain Personal Injury practice is focused on helping persons that have been injured in car wrecks and tractor trailer wrecks. 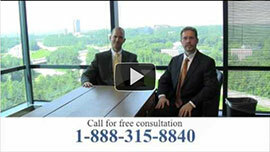 Our lawyers are seasoned trial lawyers and we have tried cases in Stone Mountain and surrounding areas. Our lawyers specialize in personal injury and we do not handle any claims other than injury claims in the Stone Mountain metropolitan area. We have over 40 years of combined experience and we are proud to assist you in your personal injury claim. If you are not able to come to our location we will gladly meet you at your home or another location convenient to you to discuss your claim. Our results speak for themselves! We offer our services to victims injured in the following types of accidents: DUI accident victims, auto accidents, 18 wheeler accidents, boating/Jet Ski accidents, motorcycle accidents, and so much more.